The visions of Human Genome Project at 1990 bring up the medical innovation today. Twenty six years later, the Human Cell Atlas Project is startup under worldwide attention. Single cell gene expression pattern become the hottest issue undoubtedly at this time. By using the exclusive patent “GemCodeTM” combined with the innovative reagent delivery method, 10x Genomics creates all new data type that overcome the difficulties of acquiring single cell gene expression pattern under existing next generation sequencing platform. Furthermore, the new data type also improves quality of next generation sequencing result. 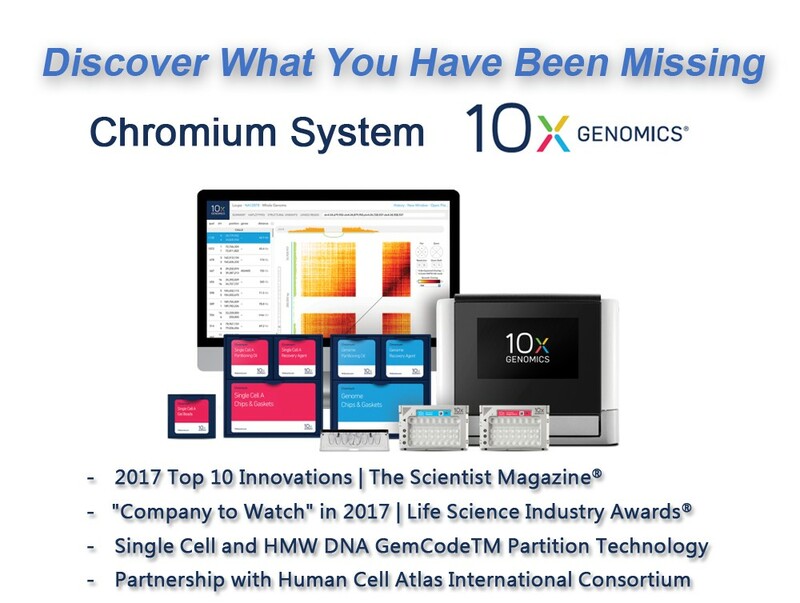 Let Chromium System upgrade your platform right now so that you can perform the most amazing single cell gene expression experiment.